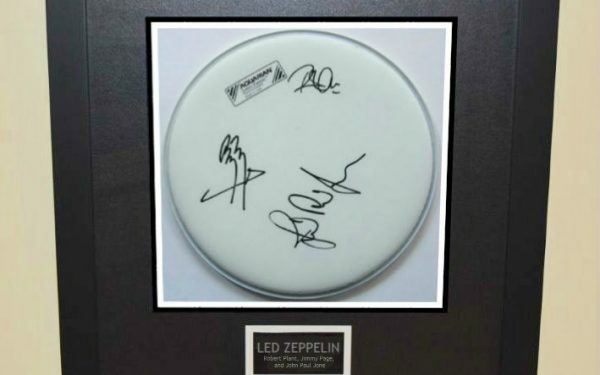 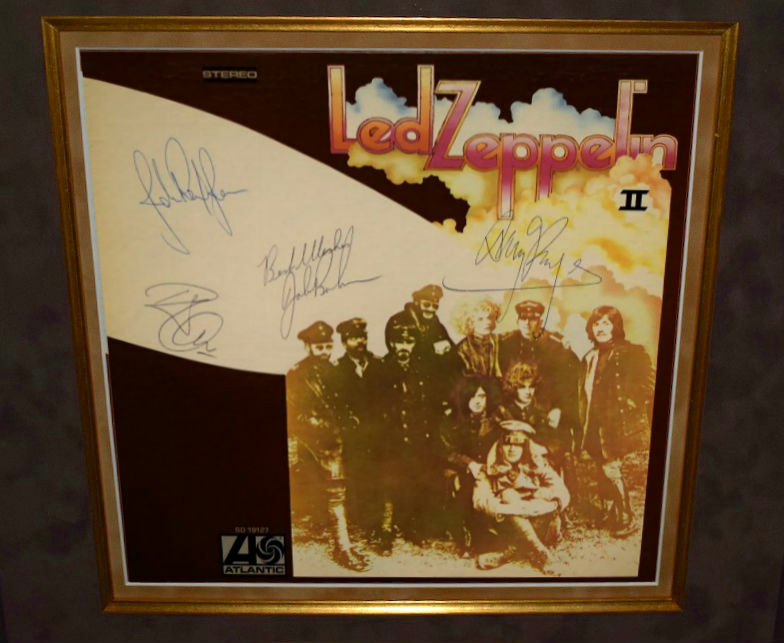 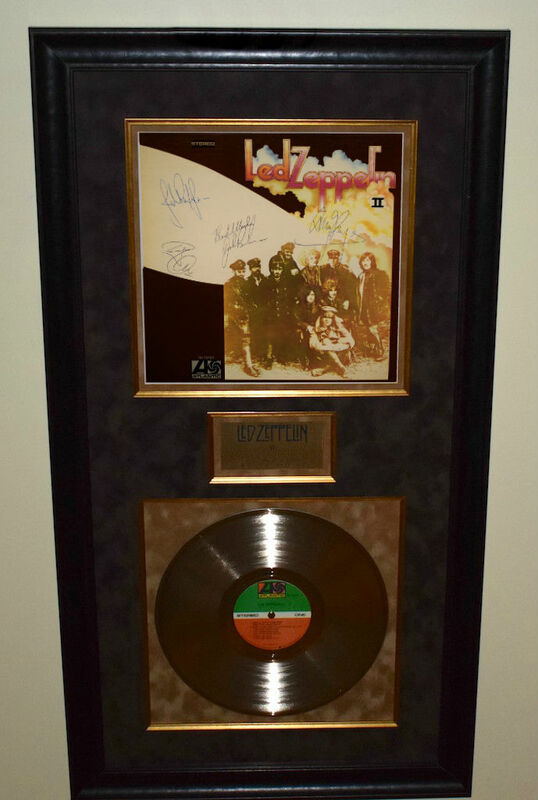 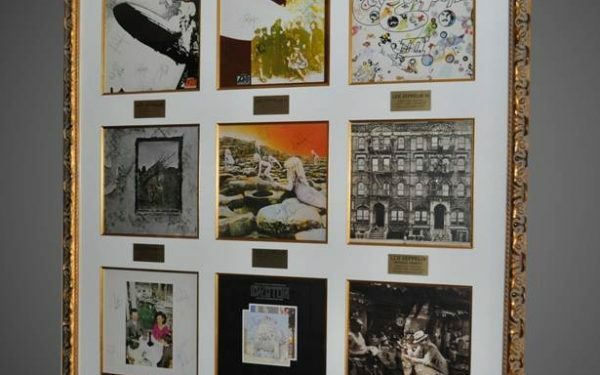 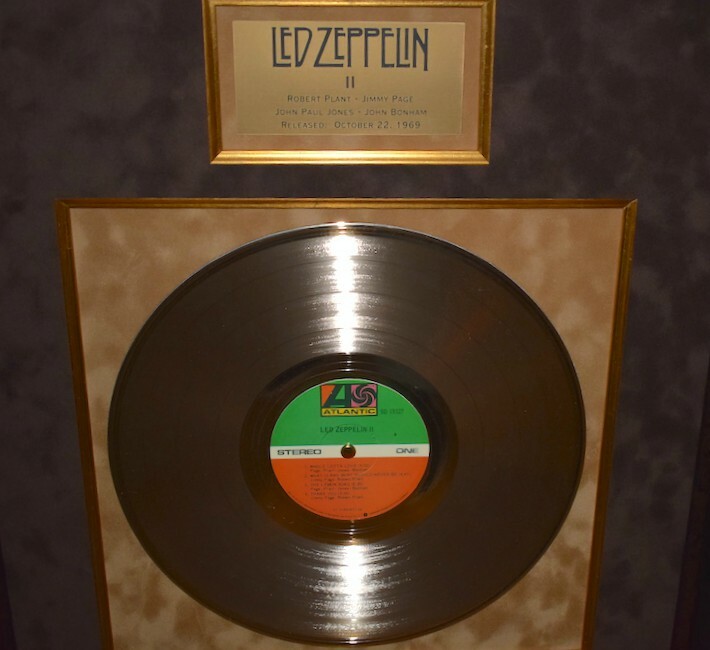 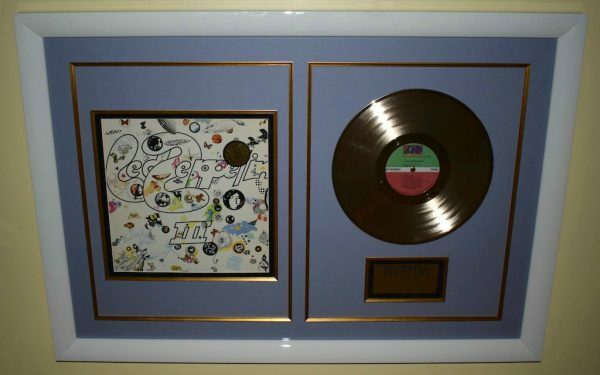 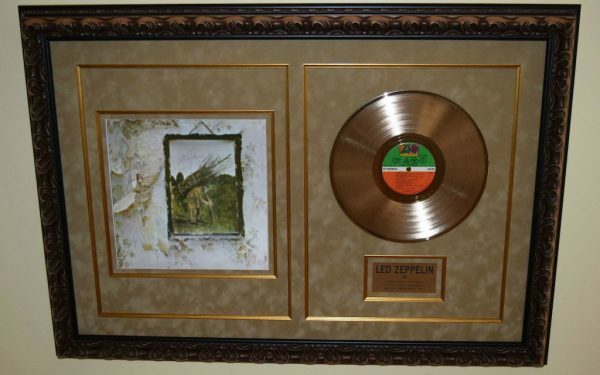 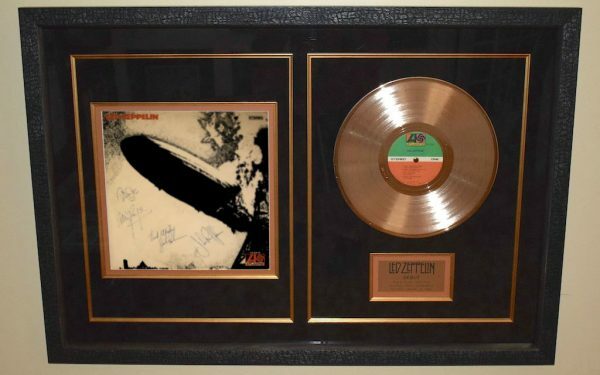 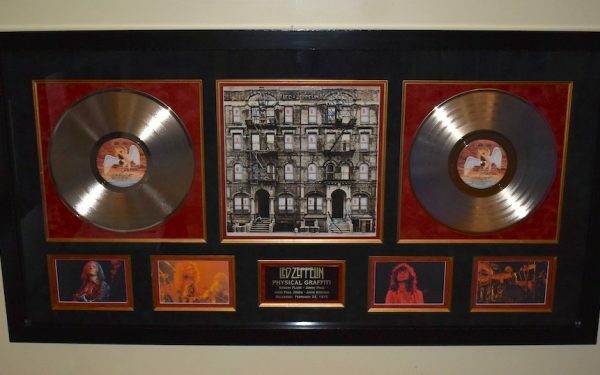 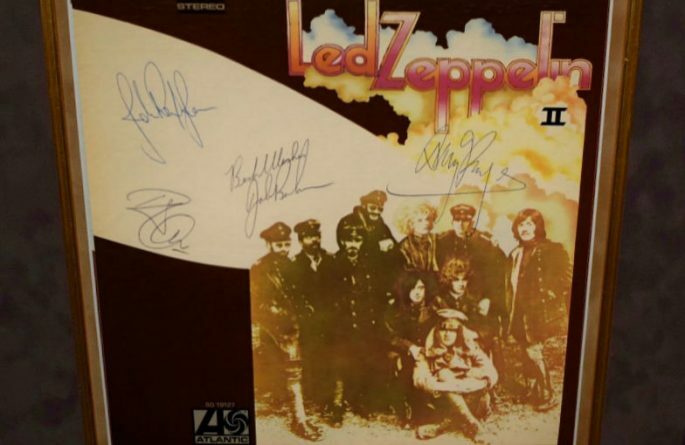 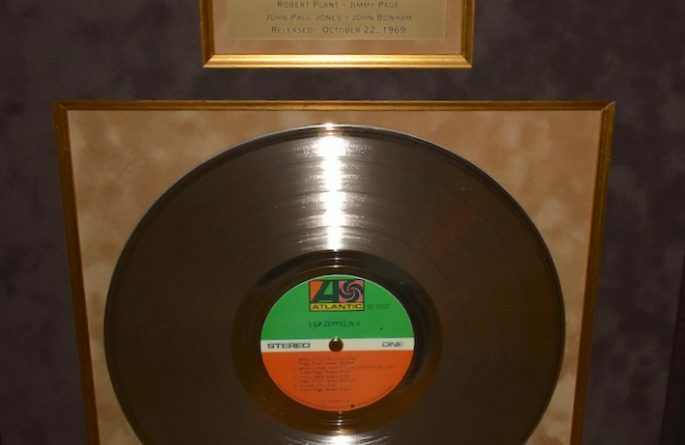 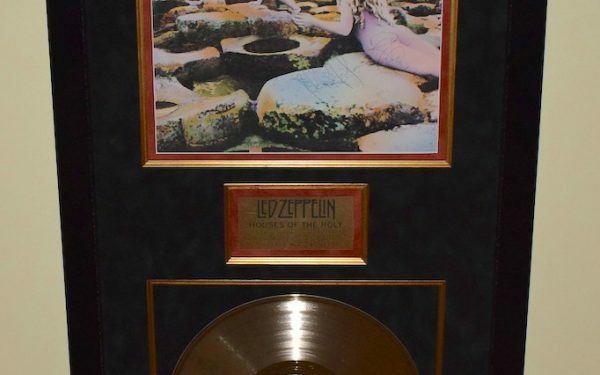 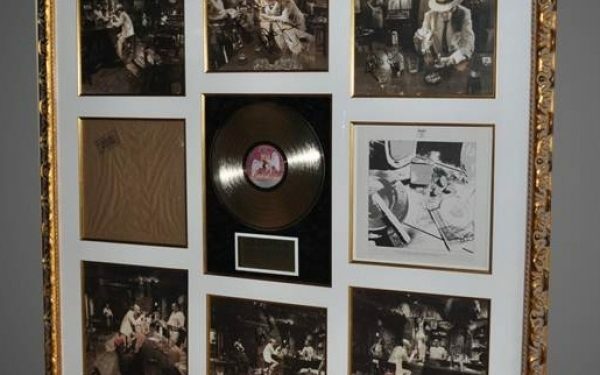 Hand signed by Robert Plant, Jimmy Page, John Paul Jones, John Bonham. 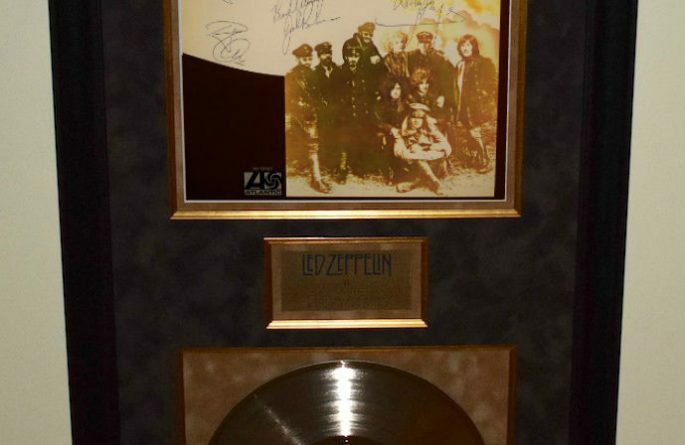 Custom Designed Vertical Award Style with a dark hardwood frame and chocolate and tan suede matting. 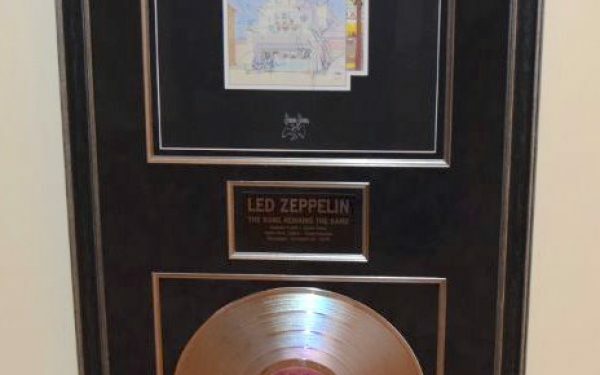 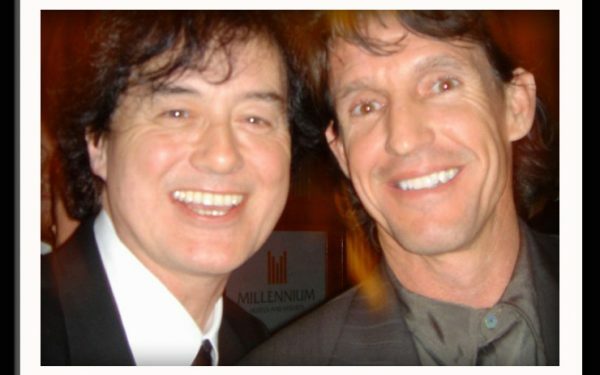 Included is a Genuine RIAA Gold Award Album.